Around the time of Independence Day each year, I can’t help but lament the fact that many people in my country, the United States of America, have taken the idea of independence to a great extreme. Many in this country have lost, forgotten, or actively deny our interdependence, locally, nationally, globally. Last week I worked at a children’s day camp. My job was to share community- and peace-building activities. 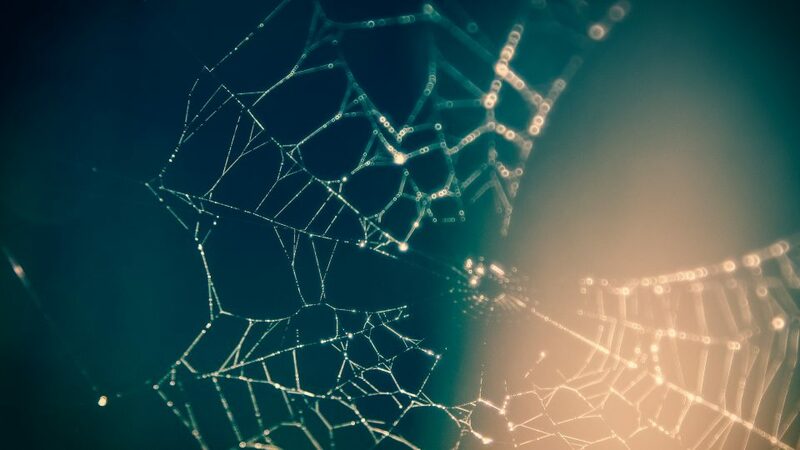 On the first day, we built a web of connection together. We sat in a circle and I began the process: with a ball of string in my hand, I said my name and something cool about myself (“I can sing!”). I invited anyone who shared that trait to raise their hands. Then, holding onto the string, I rolled the string ball to a child who then introduced herself (“I like ice cream!”), more hands raised, and more string ball-passing. After everyone had introduced themselves, we had a beautiful web of connection. I asked one child to pull on the string and anyone who felt their own string getting tighter to raise their hands. Almost always, more than the 2 children directly connected to the puller raised their hands. After illustrating this phenomenon a few times, I asked all the children to pull on the string at once. It broke, sometimes in several places. We talked about how we are all connected, even if we don’t readily see the connections, about how the stress of one person affects many people, and about how multiple points of tension (or one really fierce point of tension) can break connections. I urged the kids to take care of each other during their camp week, to be gentle with each other so as to avoid broken connections. Throughout the week, we played cooperative games and I introduced them to elements of nonviolent communication. Perhaps we adults would benefit from playing cooperative games. Perhaps we adults should create a visual and tactile web to remind ourselves that we are in this together, we need each other, and that those who “seem to be weaker are indispensable, and [those] that we think are less honorable we treat with special honor.” So many of us seem awfully eager to distance ourselves from this person or that one, this group or another, as we try to distance ourselves, tension in the web increases. We blame some people who “seem to be weaker” for their weakness and deny them the care they need, forgetting that they are “indispensable.” We shut down conversations because we know we are right and “they” are wrong (we are honorable and they are less honorable). The more we pull away, denying our interdependence and our need for each other, the more tension we create. We’ve already broken our web in many places—separating undocumented children from their parents being only the most recent and obvious example. Police shootings of unarmed persons of color. Mass school shootings. Removing some environmental protections. Members of Congress using strongarm tactics, rather than compromise that honors the needs of all. Limiting our friendships to those we agree with. How can we honor the places that seem to lack it? How can we find unity in our diversity, allowing all to play our unique and important roles? How can we reduce our own and others’ suffering? What can we honor in each other and rejoice in our interdependence?